Indian Food Recipes are Savory and Full of Flavor! Indian Food Recipes that are So Good! Indian food looks amazing and tastes better! This section of India In Your Home was created so we could all share recipes together. Listed below are some Indian recipes we have tried and we thought were definitely worth sharing! In other words, we highly recommend them! First, let's talk a little bit about recipes from India. They're unique and flavorful because they're commonly cooked with distinct spices and herbs that tickle and excite your taste buds, while awakening your senses! Recipes from India are generally known to be spicy, but the level of spiciness can differ greatly from state to state of India. For example, Southern Indians, throuh family tradition, eat very spicy dishes, while Indians in the western states, such as Gujarat, traditionally eat milder dishes. Of course, people can incorporate the style and manner of cooking from other regions into their own kitchen and cook whatever they want! Food in India has been influenced through interaction with the people of Persia, Greece, Mongols and West Asia. The colonial period introduced European cooking styles to India, which helped to make the dishes even more diverse! Indian cuisine is fun to make and recipes include appetizers, the famous Chai tea, vegetarian and non-vegetarian dishes, and of course desserts. Some people in India don't eat meat of any kind, while others do eat fish, chicken, eggs and other meats. Before my first experiences with real Indian food, I thought vegetables were nothing more than a side dish to complement meat. Often times, I found vegetables bland, but a lot of India's vegetarian dishes are even more savory and flavorful than most meat dishes served in the United States! And of course, meat recipes cooked using traditional Indian spices, like Chicken Tiki Masala, are delicious too! So, let's get you started on cooking some great recipes! If any of the ingredients are unfamiliar to you, it's because they are probably unique to Indian grocery stores. Some of the spices can be difficult to find in non-Indian grocery stores, but don't worry, Indian grocery stores are usually quite easy to locate, and you probably have one very near to you! Like I said, we have tried and love these dishes! Click on any of the following for recipes to get cooking! A great site to reference when you need help familiarizing yourself with cooking ingredients is the Cook's Thesauras. Have a Delicious Indian Food Recipe that Should be Shared? Do you know someone who does? Share your recipe for a main course, appetizer or dessert that you love!Name your recipe here! For example, "Delicious Samosas"
Click here to see the rest of the entry form and complete your recipe submission. Check Out these Other Indian Food Recipe Submissions. Click on the links below to see some great recipes for Indian Food. They were all written by other visitors to this page! How to make Paneer Discover how to make this famous cottage cheese dish..
3 cup plain yogurt, 1 cup water, 1 cup mango pulp (Canned Mango Pulp), 1/4 cup sugar. Have a Delicious Indian Food Recipe that Should be Shared? Know a great Indian dish? Share your recipe for a main course, appetizer or dessert that you love! Name your recipe here! 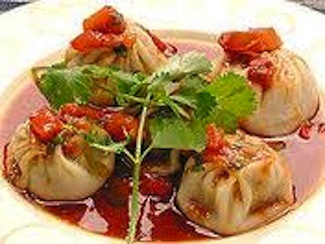 For example, "Delicious Samosas"
Your recipe will appear on a Web page the way you enter it here. You can wrap a word in square brackets to make it appear bold. For example [my story] would show as my story on the Web page containing your story. Do you have a picture of your recipe? Great! Click the button and find it on your computer. Then select it and we'll add it to your recipe listing. The maximum photo file size accepted is 800x600 pixels. If you need to shrink yours, you can use a free program like Picnik. Click on the links below to see some great recipes for Indian Food. They were all written by other visitors to this page, just like you. Discover what it's like in India today. Leave Indian Food recipes to explore India from our homepage. Here is another Indian food site and here is another.